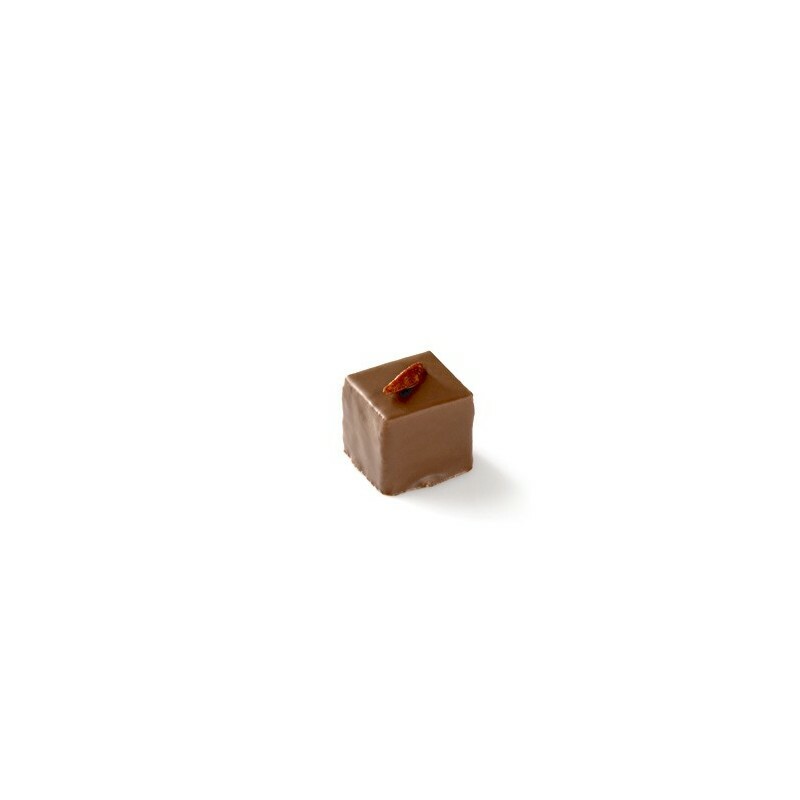 A fondant and crunchy praline with almonds and hazelnuts! Don't miss this classic refined by Maison Le Roux! 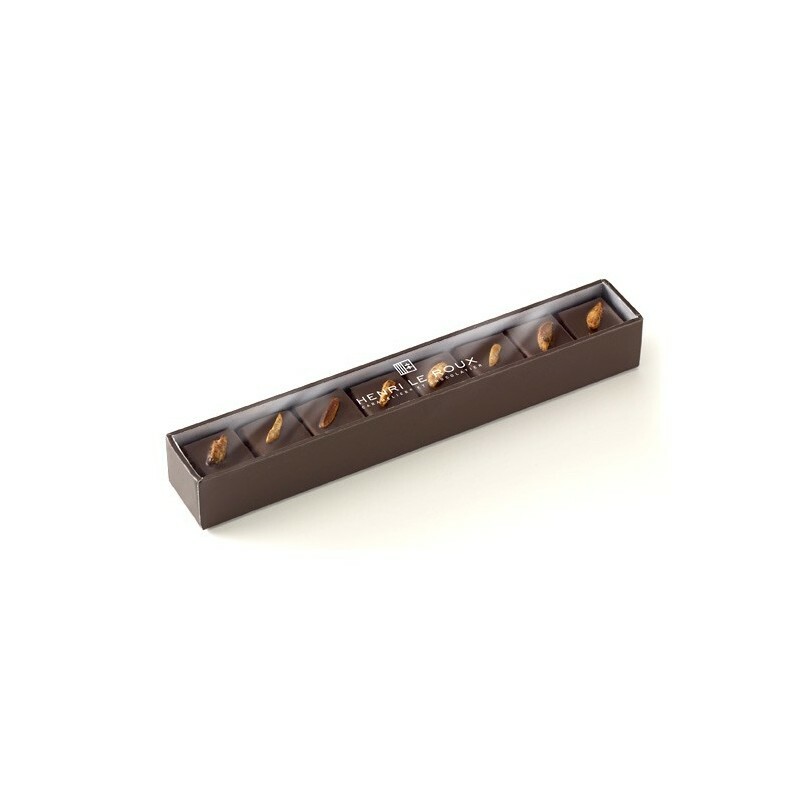 The box is available in dark chocolate only, dark and milk chocolate or milk only. Ingredients: sugar, milk chocolate (sugar, cocoa butter, MILK powder, cocoa paste, emulsifier: SOYA lecithin, vanilla natural aroma), ALMOND, HAZELNUT, dark chocolate (cocoa bean, sugar, cocoa butter, emulsifier: SOYA lecithin, vanilla natural aroma), cocoa butter, BUTTER, vanilla.